Which Solar Vehicle Will Make It Into the U.S. Showroom First: Tesla or Toyota? Panasonic announced an advanced solar car that will debut as the 2017 model Toyota Prius plug-in hybrid in Japan (the Prius Prime) last week. This is going to be the first commercially available, mass produced passenger car to feature an optional solar charging system! 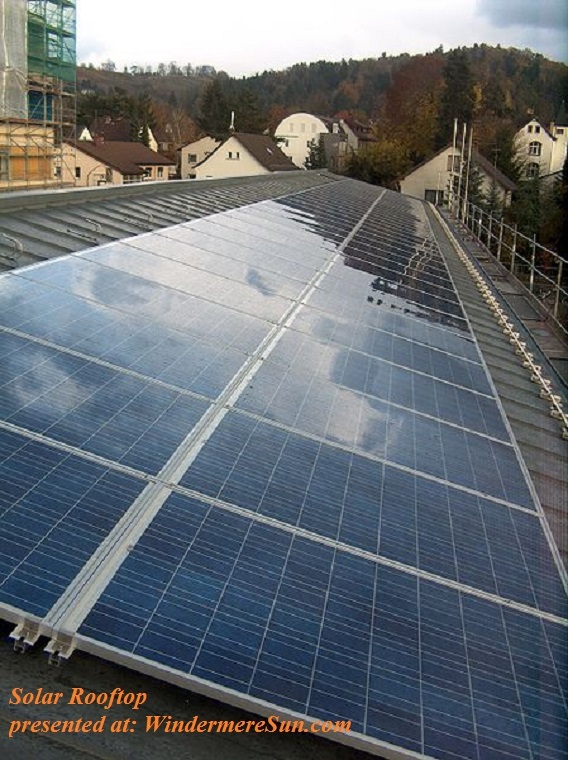 Improvements in solar technology efficiency combined with advanced design and technologies to laminate three-dimensional curved glass have allowed a high output (tripling the output of previous solar roof that was only able to ventilate parked cars and auxiliary charging of the standard 12-volt lead acid battery). As the solar panels and electric vehicle become cheaper and more efficient, the potential range boost will likely to occur. The 2017 Prius Prime is a plug-in hybrid with about 25 miles of range available on a fully charged battery before it needs gasoline.It gets 54 miles per gallon (combined city-highway EPA estimate) when running on gas. 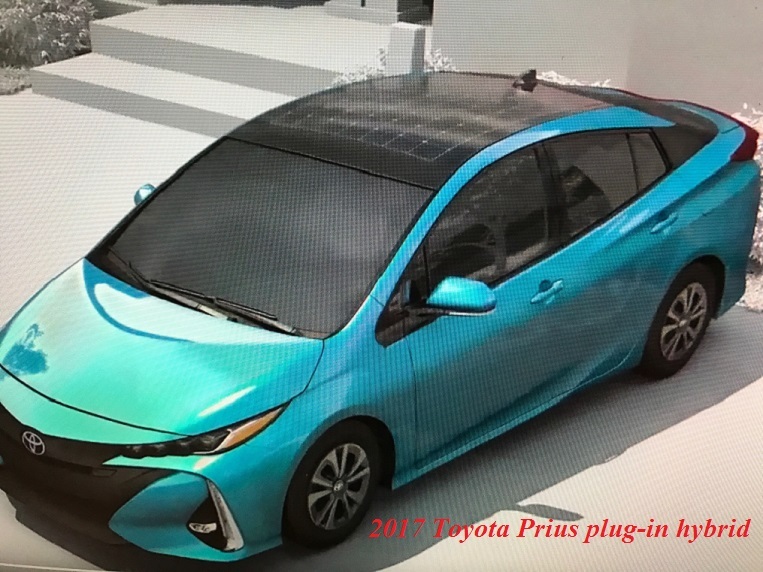 Its EPA estimated electric mileage is 133 mpg-e.
Its solar roof option will initially be offered only in Japan (on Japanese models) until Toyota and Panasonic develop an improvement to the reinforced curved glass panels, which would not pass U.S. rollover standards. The panel is capable of producing 180 watts of electricity, which is apparently enough to power car accessories (which weren’t specified) and also charge the lithium-ion batteries. According to Toyota, this panel can add up to 3.7 miles of range a day to the car’s battery while parked, and it also helps charge the battery while the car is in motion. It also fits the contours of the Prius roof and doesn’t change the design. 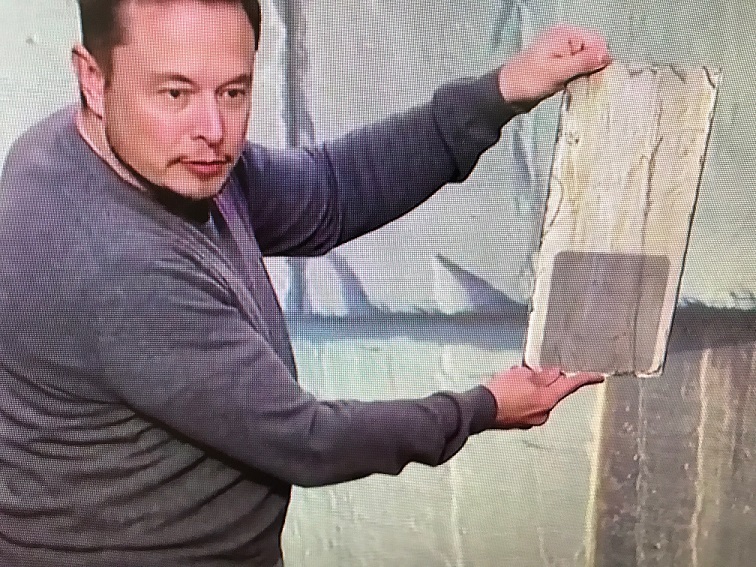 Tesla CEO Elon Musk tweeted in November 2016 that he wanted a solar roof option for the Tesla Model 3, Tesla’s affordable long-range electric car that had record pre-sales. Whether it will be Tesla solar car or Toyota solar car make it into the U.S. showroom first, one thing to be certain: our streets will soon be covered with Solar Powered Electric Vehicles….to reduce carbon emissions and to slow down the warming of our planet earth! I gladly await for the electric vehicle that will allow me to have both self-driving and solar powered features long before I reach my 80’s. It is an amazing world we’re living in! 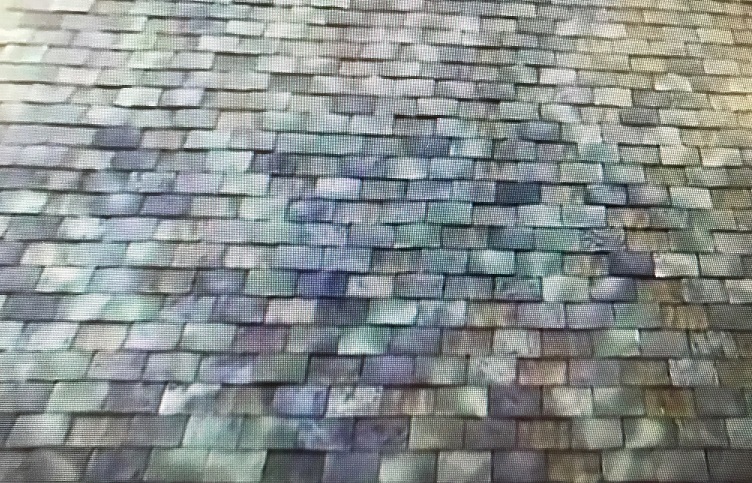 No Contest: Tesla-Solar City Solar Roof Is The Roof of the Future! 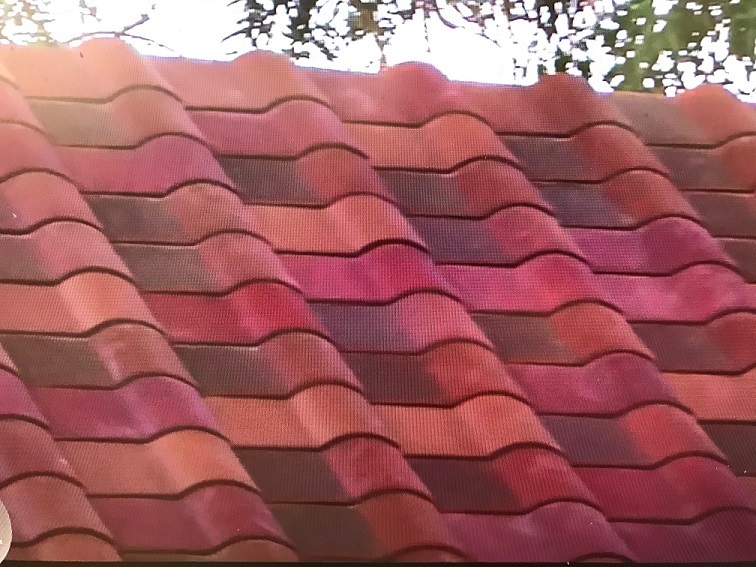 Just weeks after our previous reporting of Tesla/Solar City’s Solar roof, Tesla CEO Elon Musk stated that their Tesla/Solar City solar roof will be cheaper than the conventional/traditional roofing material. 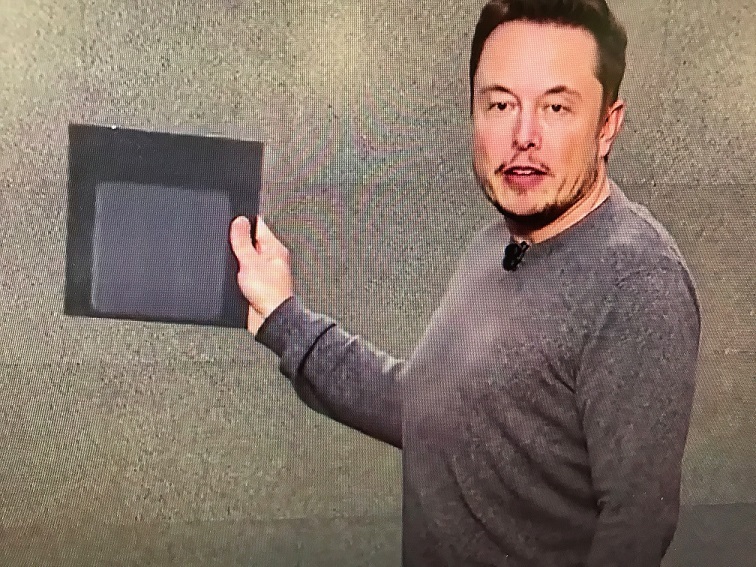 Previously Elon Musk said their solar roof would be cheaper, when taking into consideration of the fact that power would be generated from these solar roofs. But now he believes that the cost of manufacturing and installing their solar roofs will be less than the traditional roofs even before taking into consideration of its power generation. 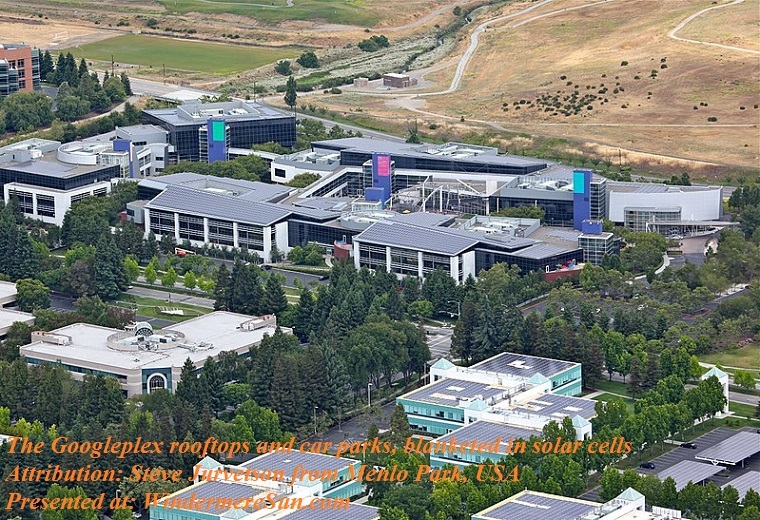 Solar City is the largest solar manufacturer and installer in USA. In November of this year, the share holders approved the merger of Tesla and Solar City. 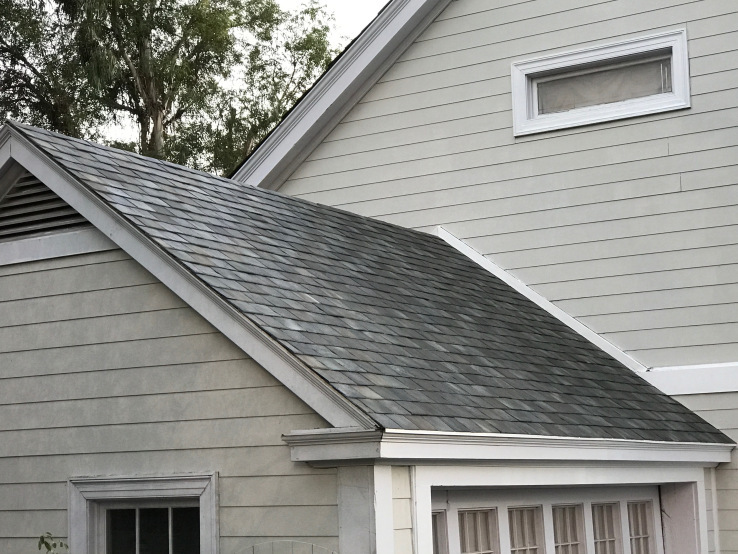 Tesla’s solar roofs are expected to hit the market in Summer of 2017. It’s a no brainer: Tesla/Solar City solar roofs will cost lower, are stronger and last longer, better insulated, and generate power! 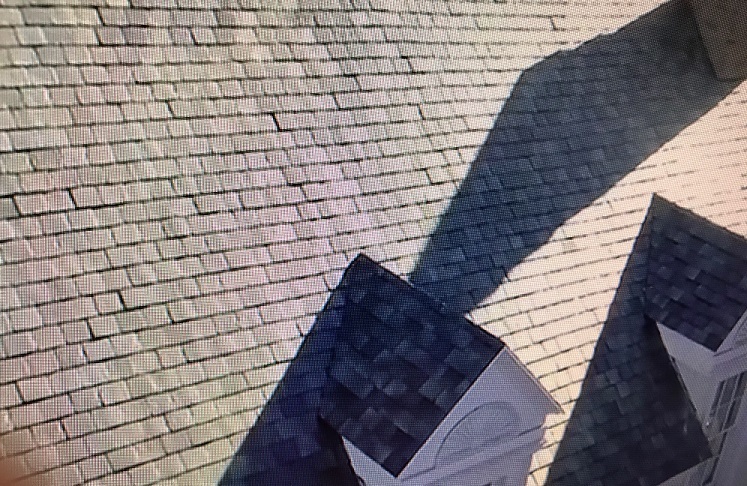 So when it’s time for you to replace your existing roof or building your roof for the first time, think about Tesla-Solar City Solar Roof!!! Talk about revolution! Elon Musk continues to lead the charge of this revolution for our Renewable Future! 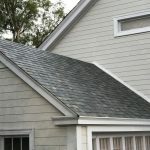 Instead of the conventional 25-year roof, how would you like to install solar roofs that would effectively cost less, better insulation, last almost 75 years for your house, with more appealing styles to choose from, no less?! 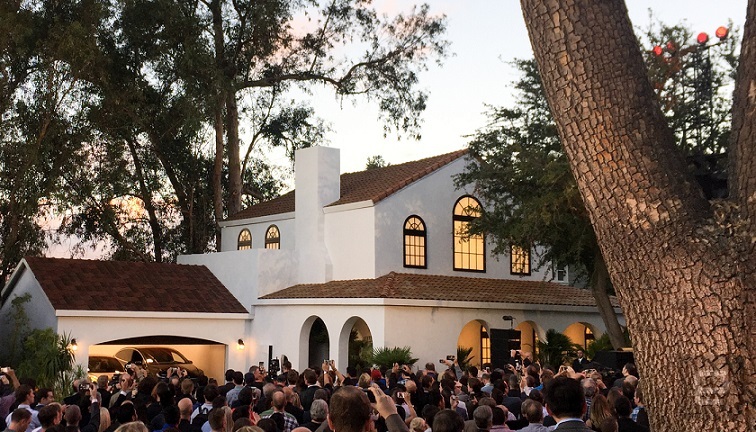 Yesterday, the unveiling of Tesla’s new Solar Roof took place at the Desperate Housewives set in LA, CA. 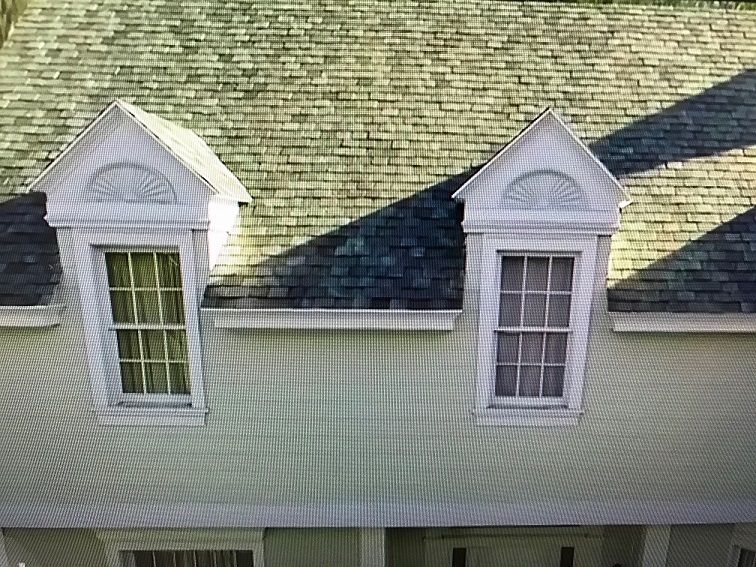 The original roof had been replaced by solar roof tops (photos above)! Can you really tell that these are solar roof tops if I didn’t mention it in advance? Our WonderWorker Elon Musk continues to amaze us! 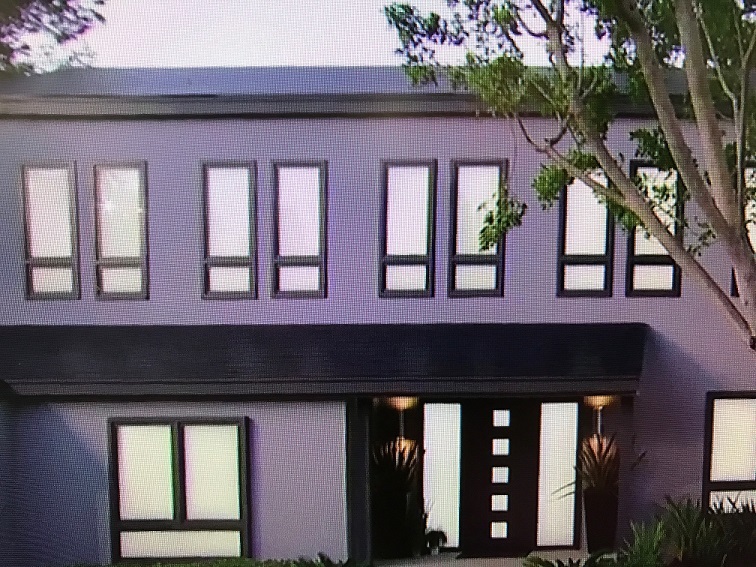 When I first heard the news about Tesla may be acquiring Solar City, I suspected that Elon is cooking something in that genius kitchen of his…..behold! 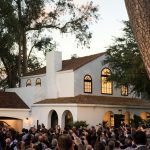 We are all totally ecstatic yesterday, upon receiving the news about Tesla’s new Solar Roof and his presentation about the three critical components in accelerating our transition toward the sustainable future: Generation-Storage-Transport—–>Solar Roof-Battery-EV —-> Solar Roof-Tesla’s Powerwall 2-Tesla’s EV. 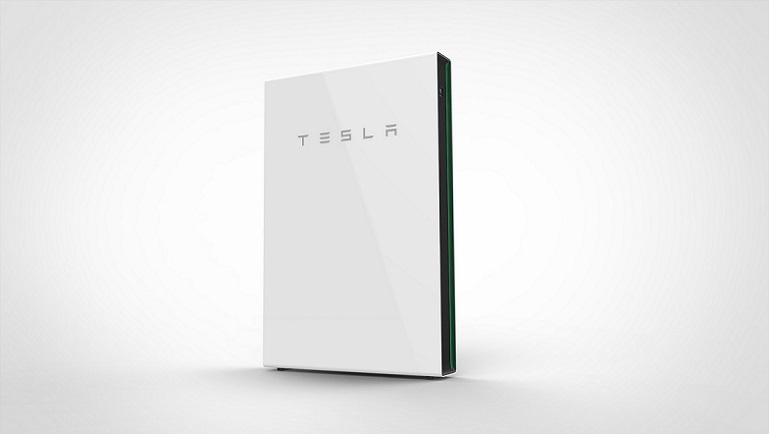 I did not write Tesla’s Solar Roof-Tesla’s Powerwall 2-Tesla’s EV because the vote regarding the acquisition is on November 17, not yet a fait accompli. Personally, I believe it would be a wise step for Solar City to take, to become part of Elon Musk’s Solution To The Energy Equation. 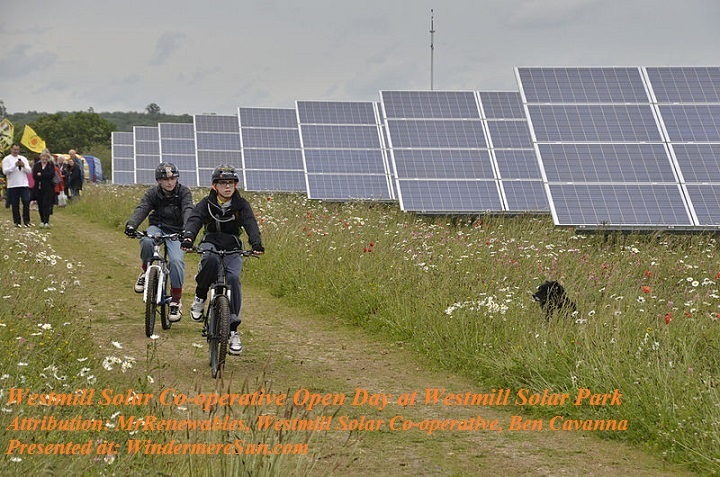 There will be a lot of individuals, families, groups, businesses that will want to take part in solving the global warming problem and in reducing CO2 emission. Furthermore, for those who want to drive an EV, one expects that they are also more likely to also want to install solar roof tops and vise versa. 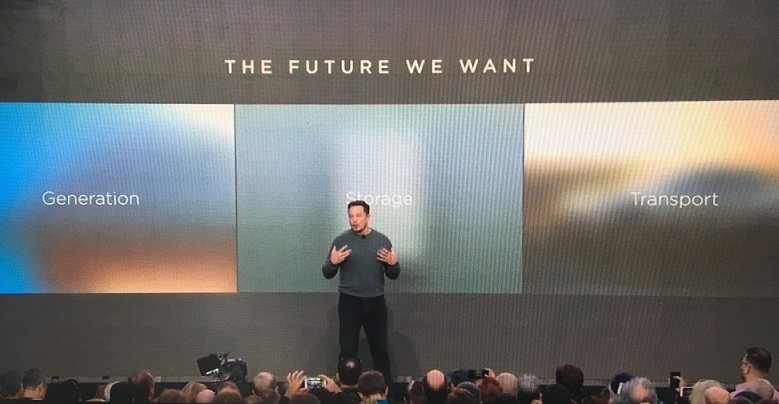 Elon also pointed out that the future is bright for both utilities and local power generation (solar roof tops) because as we transition our energy use into all electric, that will roughly triple the electricity that will be needed. 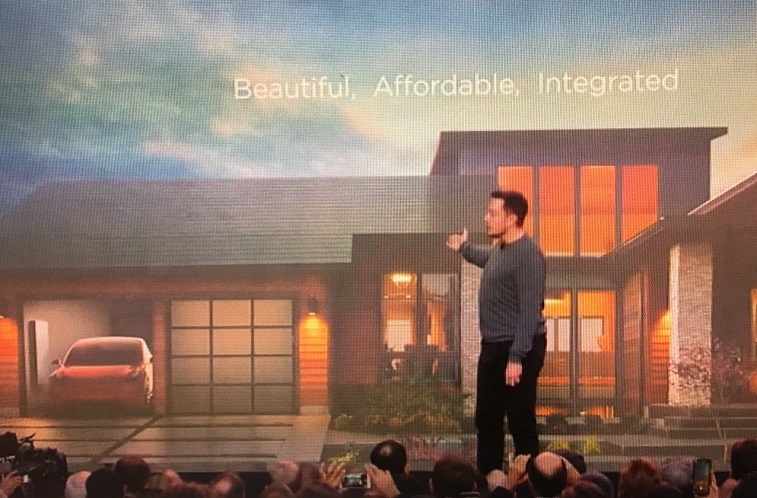 For all the solar installers out there, it might be a good idea to devote part of your business to subcontract for Tesla/Solar City, because this integrated solar roof will probably be proprietary in the next few years. 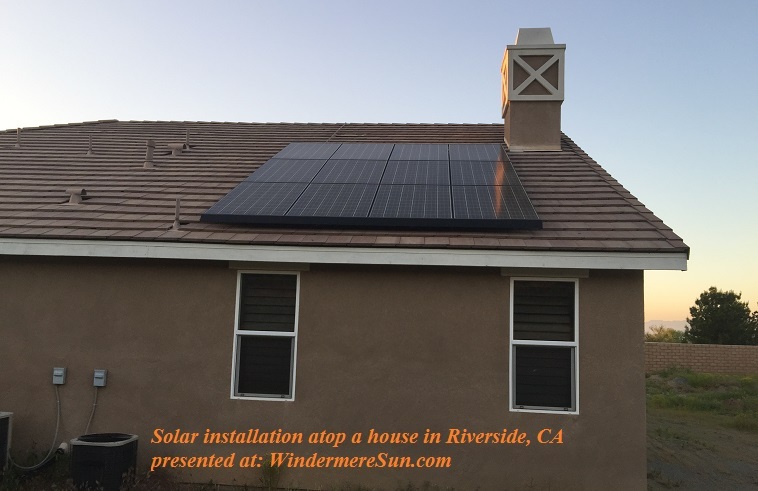 We Look Forward To Our Renewable/Solar Future! Elon, now help us to get the solar self-driving car !